The Student Reporting Labs team covered the Republican and Democratic National Conventions, exploring each host city to find a diverse range of youth perspectives on this year’s presidential race. The students — Chloe Golan from Miami, Florida, Evan Gulock from Royal Oak, Michigan, and Kennedy Huff from Pflugerville, Texas — traveled first to Cleveland and then to Philadelphia, talking to young delegates and first-time voters about the issues most important to them. College affordability, disparities in access to quality education, and issues surrounding race all emerged as major concerns for today’s youth. 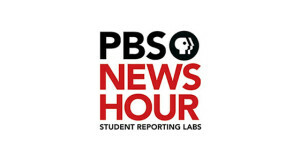 You can find Student Reporting Labs video coverage from both conventions at the link.